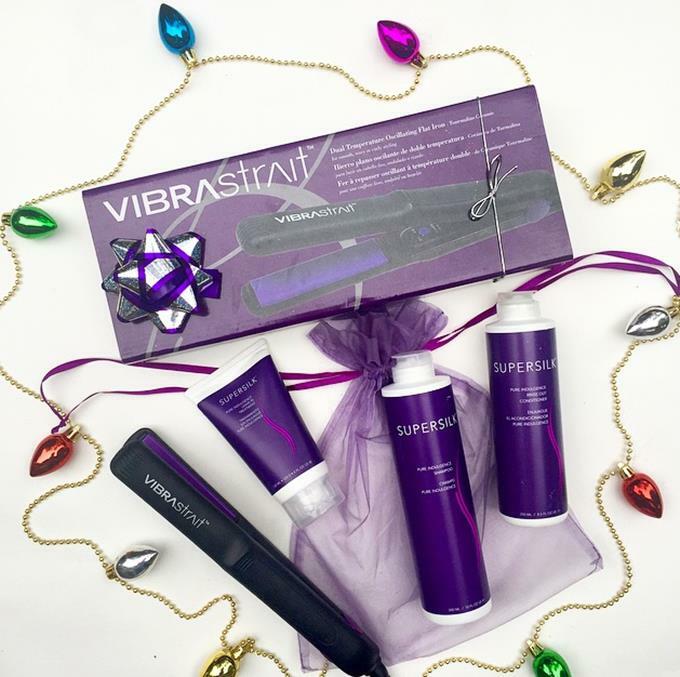 Belle de Couture: Brocato Supersilk Vibrastrait + GIVEAWAY! Brocato Supersilk Vibrastrait + GIVEAWAY! Lately I've been bored of my usual wavy locks and have been inspired to switch things up a bit and style my hair in some fun, new ways. I do like to wear it straight, but sometimes even that look can be TOO straight for me. When I find myself in that in-between rut I like to give my locks a volumized, textured look. I find it to be very 70's chic. With the help of my new Supersilk Vibrastrait by Brocato, I can achieve the look in just a few minutes! I first start off by de-frizzing my hair. My hair is naturally wavy, so when I blow it dry it's important for me to use products that will help tame the frizz. The Supersilk Leave In Treatment is great because I can use it after shampooing and I don't have to worry about adding any additional styling products. I love all Supersilk products because it really helps keep my locks smooth and silky to the touch! Once I've blow dried my hair, I like to run the Vibrastrait over all of locks to lock in shine. After that I simple grab 1-2 inch sections all around my head and I run the Vibrastrait down the strands, turning the iron with my wrist as my hair moves through the iron. This gives a relaxed wave that looks slept in and effortless. I finish the look with a little texture spray and some hairspray and voila! My voluminous textured look is complete! Shop similar black skinny scarves like I'm wearing, via the widget below!